According to studies like “The use of cash in Perú” by BCRP 2017 and Global Findex 2014, in Peru, 90% of retail transactions are paid with cash and 29% of people older than 15 years old have a bank account. In this context, two fintechs BIM and Vippo have launched digital wallets that let both banking and non-banked population increase the amount of digital payments. Both fintechs have a very low penetration, however, I found interesting to interview an entrepreneur David Chang, who has adopted Vippo as another alternative for payments in his restaurant, so we can understand which incentives could foster the adoption of digital payments. David Chang is a young Chinese entrepreneur, he is married, his wife collaborates with him in their business often and they have a baby girl. He spends most of his time in his restaurant El Pico, located close to a busy shopping center, where he offers grilled chicken and meat. He has lived in EEUU and Peru, likes technology and has a modern smartphone, he is opened to explore new tools to increase his profits and to ensure safety against robbery. David is aware of the importance of social networks, so he has created a fan page in Facebook where El Pico has 2,045 followers. ¿How does El Pico clients’ pay their consumption? 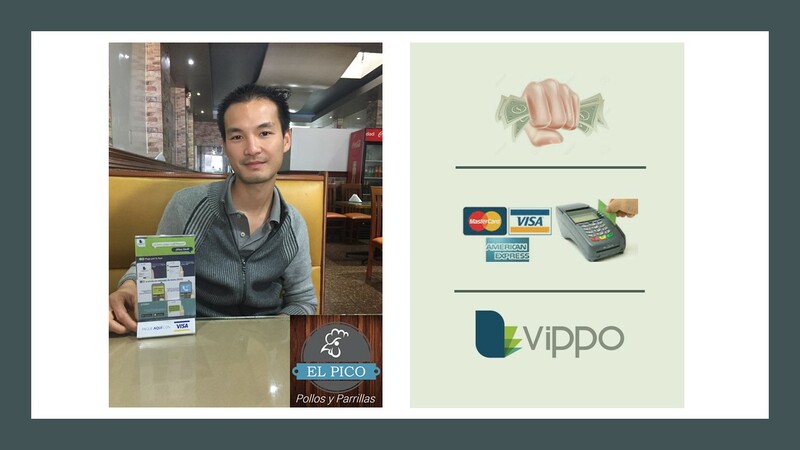 ¿Why does David Chang like Vippo? Price: Vippo charges S/0.50 ($0.15) per transaction, while credit cards charge variable commission between 5% and 9%. Quick settlement: Vippo settles its transactions every day by transferring the money to the associated bank account while traditional cards takes between 2 and 2.5 days. Convenience:Vippo clients’ can distribute the bill and make the payments simultaneously without waiter intervention, while payments with traditional cards are processed one by one through a POS. Additionally, Vippo payments let other wallet holders’ remote payments if it is needed. Ease: Clients that used Vippo for the first time understood the instructions quickly. It is important to clarify that this article cannot assure whether these features could be hold while the transactions increase. ¿Does David Chang know another alternative payment in Peru? He has listened about another wallet called BIM, however, he has not used it yet. ¿How does David Chang feel about the possibility of lunching fidelity programs with Vippo? He is aware that this feature is not yet available, but he would like to try it. In the meantime, he might lunch a special offer supported by Excel. Since Reto Digital, I wish David Chang a lot of success in his projects and express my gratitude for his dedication to this interview.